Where Have All The Samples Gone? Are Sample Slabs slowly disappearing from the market? 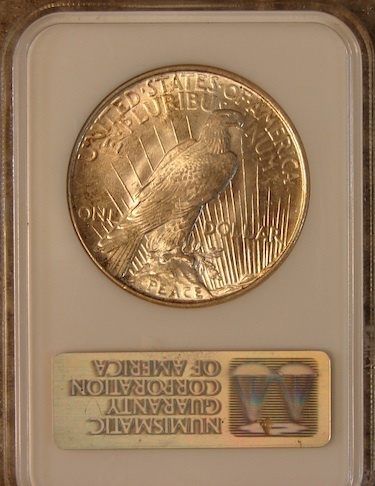 I recently looked for Sample Slab auctions at eBay and was floored by the lack of auctions. 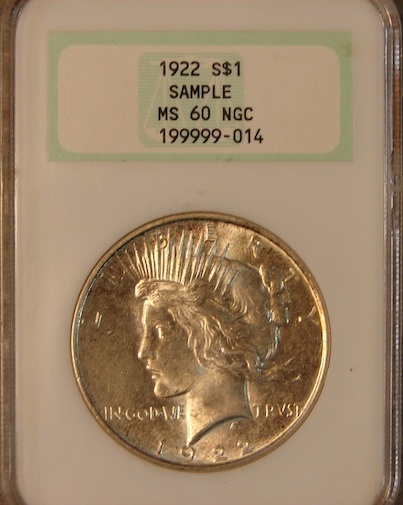 It wasn’t too long ago that there were pages of Sample Slab auctions, but not now! What’s happening?”I have spent so much time lately researching sample slabs, writing articles and, now, helping to build my new website that I have not been paying as much attention to the amount of sample slabs available for sale on eBay as I usually do. the sales of samples for several months now, it seems to me that we could be getting to the point were a sample slab is not such an easy thing to find. Produced in different quantity and for different reasons samples were limited in numbers and the amounts varied, we do know that sample slab quantities compared to (normal slabs) are very small.. 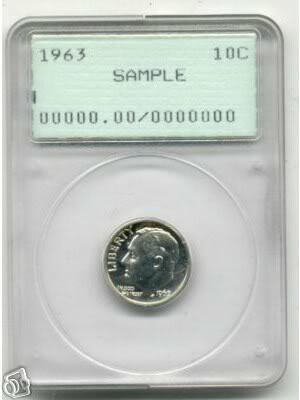 Samples that were handed out to the public could number as high as 1000 produced, luncheon samples could be as few as 50, other samples that ere made for other reasons could be as few as 20.
from what I have been seeing, collectors are willing to pay some very large premiums to get the sample slabs they want. 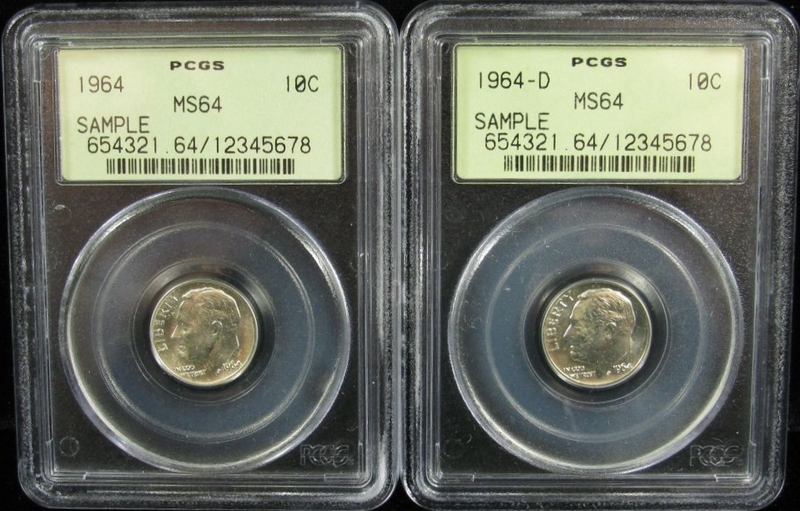 Since the beginning of the slabbed coin, samples were being produced often, as each company made changes to their holders for one reason or the other. Competition was high and everyone wanted the best holder for their customers. I don’t think these things have changed, but the amount of new samples being produced has. 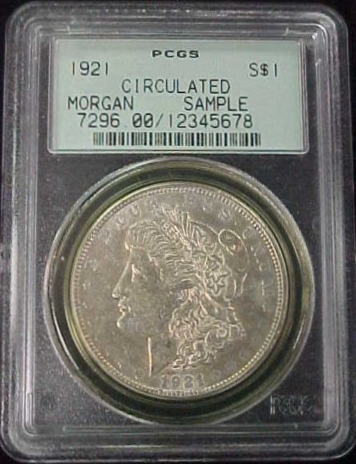 We are not seeing the drastic changes in holders as most have been refined to the point where the customer is happy and so are the grading companies, I think the biggest change to come along in a while has been the side view holder.There are still lots of samples out there, and there will always be someone willing to sell samples to the highest bidder. The chances of finding a bargain will also decline, as we are not seeing pages full of samples for sale as we have in the past. Could all this be temporary? I suppose so, but I some how doubt that. After watching eBay pages full of samples of all types for the past several months and now seeing these same pages with only five or six samples for sale, I think this is going to continue. Megan does all my proofreading and corrections and makes my life so much easier. When it comes to coin, buy the coin, not the holder. 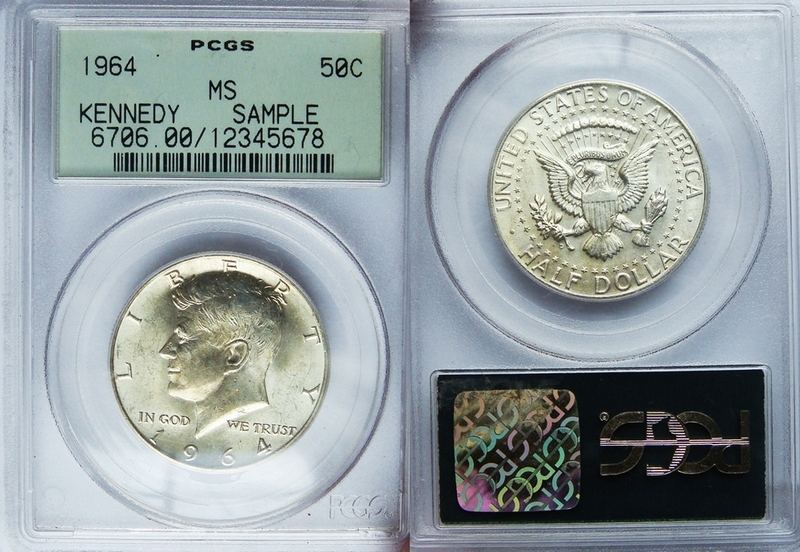 This month from NGC, a 2010 Collectors Society Member Luncheon Sample Slab. 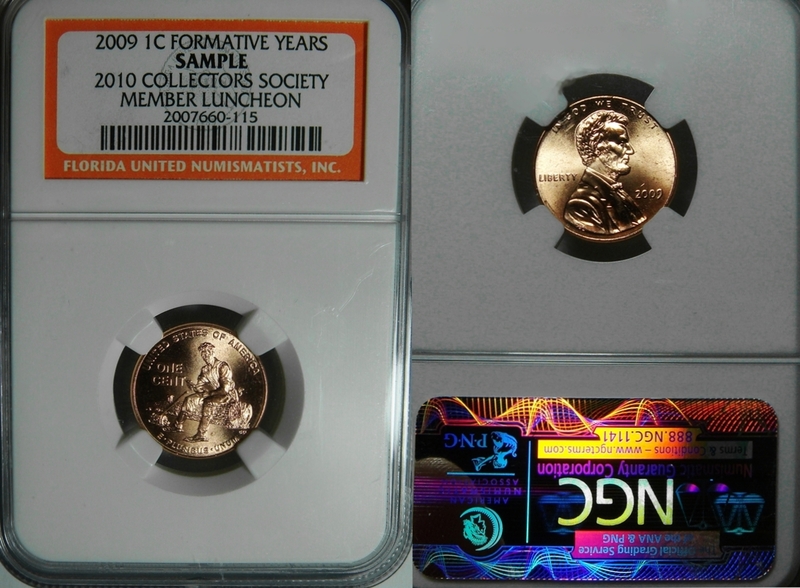 With a 2009 Formative years Penny inside, These are some of the most sought after samples of all, reason being they are usually produced in very small quantity of about 50. 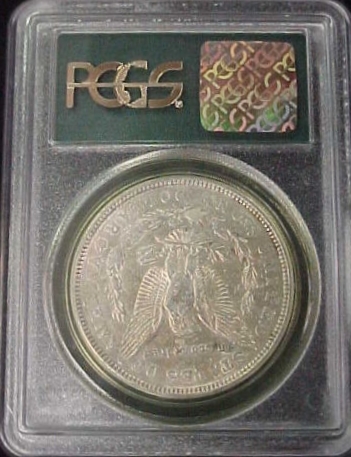 This one was a gift from a good friend and I feel very luck to own it, as they are hard to find and command a high premium as well. I really appreciate your comments. Please take a moment and sign up. This entry was posted in Sample Slab Guides and tagged SAMPLES GONE on May 25, 2012 by Daniel. Pingback: Where ar all the samples going?